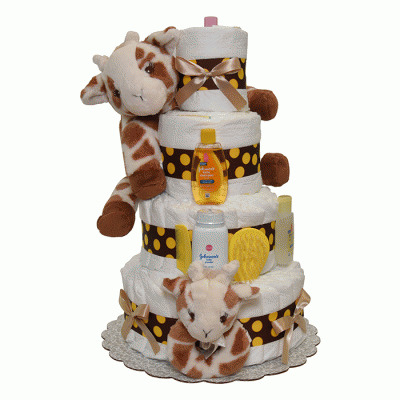 Our adorable and impressive Gentle Giraffe is a giant among diaper cakes. 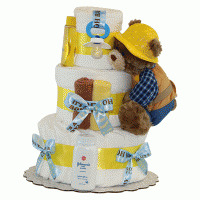 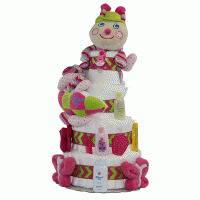 Standing more than 26" tall, this amazing diaper cake creation includes wonderful layette items for either a baby boy or baby girl. 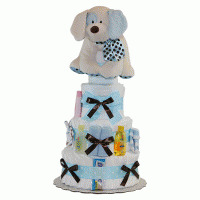 Among those items are a hooded towel, baby blanket, bib, burp pad, onsie, baby blanket, booties, terry toy, and 12 newborn sized diapers. 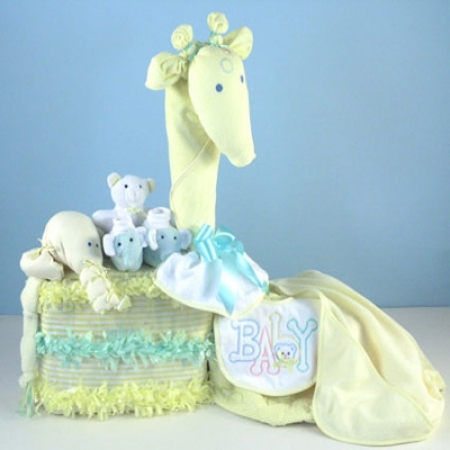 Artfully arranged and presented, Gentle Giraffe Diaper Cake is made to order in the USA and makes a great baby shower gift. 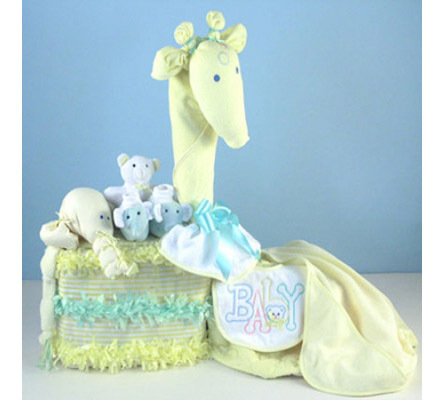 With all of this going for it, shouldn't you consider reaching for a Gentle Giraffe Baby Gift?